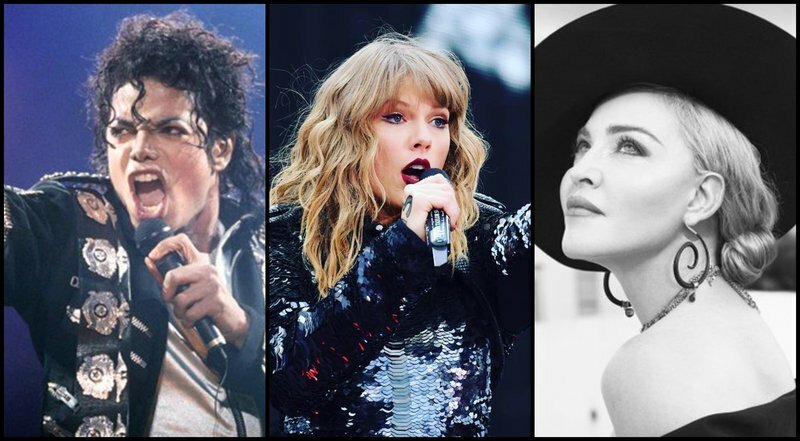 We love giving you #MoreMusicYouLove, so take a trip down memory lane with this list of the most decorated artists EVER! After producing hits for more than 45 years, Michael Jackson is still tops when it comes to the all-time ranking of artists with the most awards. Michael Jackson's biggest solo hit on the Billboard chart was his 1982 hit, 'Billie Jean'. It spent 24 weeks on the chart, and a whopping seven weeks at number one. The Thriller-hitmaker has received more than 800 awards, 13 of which were Grammy Awards. In 1988, 'The King of Pop' was awarded the MTV Video Vanguard Award. This award is presented at the MTV Video Music Awards to artists for their exceptional accomplishments in music and film. It was renamed in 1991 in honour of Michael Jackson. With 520 awards to her name, Beyoncé takes the number three spot on this list. The 'Single Ladies' hitmaker first reached commercial success in the 90's with girl group Destiny's Child, and has since topped numerous charts across the world as a solo artist. Singer-songwriter and actress Lady Gaga takes the number four spot with 402 awards, including six Grammys. Gaga has had a number of number one hits, including Pokerface, Born This Way, and Million Reasons. READ ALSO: POLL: Should Lady Gaga have consulted with David Bowie's family for her Grammy tribute? Who is your favourite artist? Let us know.